With best wishes and prayers for the well-being of all living beings! The idea is simple: You call up and within the first ring a real person picks up the phone, you ask them for any business listing – in any category – and within 45 seconds they email or text you the information or, if you prefer, connect the call. The company will end its fiscal year at the end of March with some $32 million in revenues having answered 72 million calls in the last year. That call volume is increasing by 40%, so the company expects to break 100 million calls in the next year. In a country where nearly everyone has a mobile phone but just 50 million people have Internet access, JustDial is essentially Google and 411 rolled together. The move is a direct volley at a service like GOOG-411, which has opted to do the same thing, but using voice recognition software. But Founder and CEO V.S.S. Mani (pictured above, in one of his call centers) is betting that nothing beats a human voice with a quick answer. Finance Mister, Mr. Pranab Mukherjee presented the Budget for 2010 – 2011 today with an eye towards growth, yet targeted to enforce fiscal discipline. With the reduction in income tax rates (providing much relief to the already stretched wallet of the Indian tax payer!) as well as the hike in rates of petro products, the FM has shown that it is serious in terms of achieving its objective of implementing reforms in the areas of direct tax and reduction in subsidies. An unexpected announcement was that of the grant of new banking licenses to private players including NBFCs. The fiscal deficit target for FY11 has been set at 5.5% of GDP, with further improvement to 4.8% in FY12 & 4.1% in FY13. The reduced government borrowing of 3.45 lakh crores for FY11 is a positive. Divestments for the current year are targeted at Rs. 25,000 crores which seems achievable. Key areas requiring attention have been addressed with increased spending on infrastructure, agriculture, rural development, health and education. The much awaited reforms in taxation, Direct Tax Code (DTC) and GST have not been discussed in detail but confidence was restored with rollout been fixed as 1st April, 2011. Nevertheless, with the reduction in tax rates, the FM has clearly displayed his seriousness in ensuring the smooth rollout of the DTC. The Budget has partially rolled backed stimulus measures by hiking excise duty by 2% on all non-petroleum goods like cement, auto, etc. The hike in excise duty levied on petroleum products will have an inflationary impact. On the corporate side, surcharge on corporate tax has been reduced to 7.5% from 10%, with the effective corporate tax now lower at 33.22% versus 33.99%. MAT has been increased to 18% from 15% which can impact some large corporates. The Government has taken steps to simplify the FDI policy by consolidating all prior regulations and guidelines into one comprehensive document. This we believe is a good step in order for a developing country like India to continuously attract long term funds. The issue of FDI in sectors like Retail and Insurance have not been discussed in the Budget, but it could be brought up in the FDI policy document. The FM has re-emphasized his commitment to the reform process and positive steps have been taken in this regard. However, the final verdict will depend on the conversion of this positive intent into actual execution. Using an IME. Common IME’s include those from Google, Microsoft Bhasha and Baraha. These require a download and install of client software. In possible good news for a faltering animation industry in India, NASSCOM has forecasted that the industry will grow to USD 1 billion by 2012 from an estimated USD 494 million in 2008. He also added that animation industry should adapt to Bollywood’s example of having restructured to a higher profitability model, post recession. Akamai Technologies has released its ‘State of the Internet’ study for the second quarter 2009. The study analyses internet statistics in Indian states, and takes into account traffic attacks, outages, network connectivity, and so on. Average internet speed in was above 768 kbps. India has over 3 million unique IP addresses and stands at number 20 in the world for the category. In terms of connectivity speed, India stands at 107th position, with 895 kbps. India stands fourth in the world for observed attack traffic. Globally for high broadband adoption, India stands at number 65. Happy Birthday Father Gandhi Ji .. There is a name that profounds too big than anyone when we think of our freedom, India’s freedom. 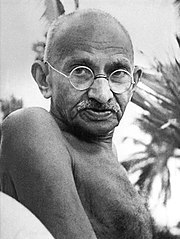 Though we are talking about freedom fighter but the irony is that this person is known for non violence or zero violence. Simple, Zero violence, follower of Ahimsa principles … the none other than … my and entire India’s father .. Mahatma Gandhi. Today we celebrate birthday of Gandhi, my hearty wishes to his soul. I pray and wish that every individual on earth follows non-violence taught to us by reglious souls like Mahavira, Buddha and then practiced by leader like Gandhi. Happy Birthday Gandhi Ji ..
Nandan Nilekani’s Fully integrated ID card system! Customer: “Home! How did you get all my phone numbers?